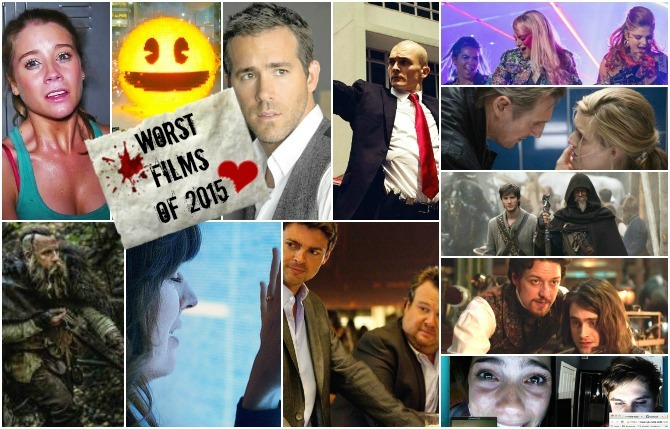 This entry is part 3 of 4 of my best and worst list of 2015. My first post was the best of the best. My second post was the most disappointing. 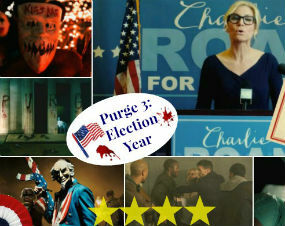 My third post is typically reserved for the worst movies of the year. Unlike the most disappointing list, the films below have very few, if any, redeeming qualities-- be it visuals, direction, writing, or acting. Some of the films are so bad I can't believe someone sober actually wrote it, directed it, or greenlit it. I can't believe I was sober watching them. It takes a great deal of effort and time to work on these posts. 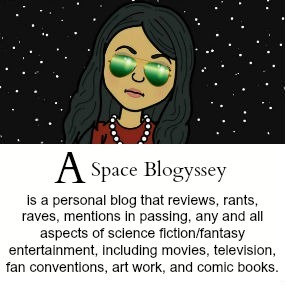 So forgive me, but I don't have the heart or the inclination to write full reviews for the festering pile below. So behold, below is but a simple list with a few giffys for good measure. They are not in any particular order. My goal for 2016 is to not have a worst movies list. If you read my last post, I am going to be far more discerning with the films I see this year. Although I'm sure I will inevitably watch a few stinkers. If 'Point Break' is an example of things to come, I'm kinda glad that Hollywood has finally started remaking 1990s films. Hopefully this means 'The Goonies' are safe. Although I doubt it. The 'Poltergeist' remake is yet another shameful cash grab marketed to 80's nostalgia. The 1982 original film was nearly flawless due to Steven Spielberg's heavy hand throughout the film (Toby Hooper is the directed listed, but many have said Spielberg was the "real" director). I'm really tired of the "jerky movement" brigade. If it's not some clown jumping you, it's some kid suddenly being pulled up the stairs. Can we all agree that these gotcha moments aren't scary? I'll tell you what's scary-- the original clown scene as seen below. There are certain films like 'Poltergeist,' 'Jaws,' 'The Shining,' 'Terminator,' 'Raiders of the Lost Ark,' that cannot be remade. These films had a near perfect blend of actors, director, and script. 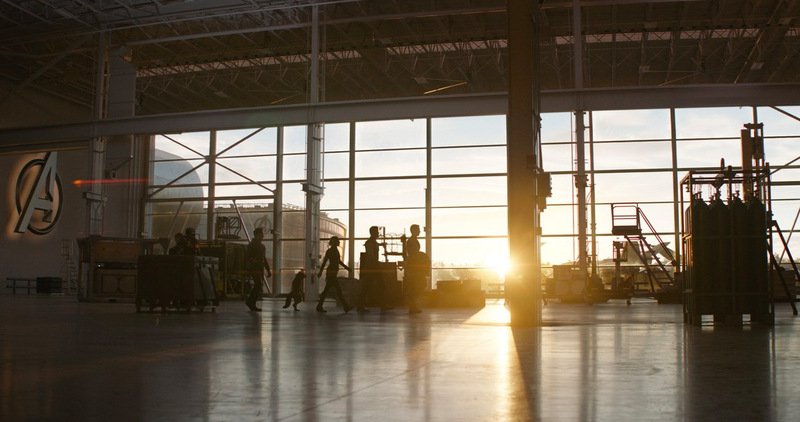 This sort of movie magic doesn't happen often, but when it does it cannot be replicated. I don't know why but it just can't. Nor do I understand why these filmmakers keep destroying near perfect films with reckless abandon. The 'Poltergeist' remake has a 30% on Rotten Tomatoes. I'll preface my statements by saying that in addition to 'The Last Witch Hunter,' writers Matt Sazama and Burk Sharpless also wrote 'Gods of Egypt' and 'Dracula Untold.' Nuff said. All I can do is hope that some self-respecting producer prevents this disastrous duo from writing any more fantasy films. Please stop. Vin Diesel isn't much of an actor, but he's fun to watch. He should really stick to the 'Fast & Furious' films. 'The Last Witch Hunter' received a 16% from Rotten Tomatoes. It's not that I don't think Vin Diesel couldn't play a cool medieval warrior, just not in this movie. Plot: Vin Diesel is an 800 year old witch hunter named Kaulder. He's been cursed by a witch, who he shares a heart with. It's just so stupid. Even I was amazed at just how bad this film was. I don't know what happened? From all of the reports I read director Josh Trank imploded. Yet again, a one-hit wonder (Trank directed 'Chronicle') gets handed a multi-million dollar comic book franchise film, similar to Colin Trevorrow with 'Jurassic World.' Loll and behold they both get offered to direct a 'Star Wars' film (thankfully Trank dropped out). How does this keep happening, whilst female directors can't even get a foot in the door? Well...the scales have fallen from my eyes and I have seen the light. 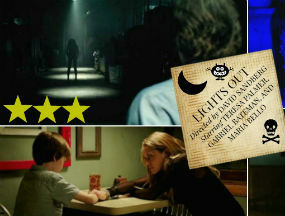 The film received 9% on Rotten Tomatoes. Plot: Childhood friends work on a teleporter and create a "quantum gate" to a distant planet. On their travels they become "infected," which alters them on a molecular level, thereby creating the Fantastic Four. Read the comic book instead. This franchise is done. Put a fork in it. Enough. The first one was genuinely scary. The second one had problems, but it was decent. It's gone down hill ever since. I also don't like seeing kids in danger. This sort of horror movie appeals to the lowest common denominator. It's like killing the family dog. I'm really tired of these two terrible cliches. The latest version has a 13% on Rotten Tomatoes. Plot: A family moves into a house built on Kristi and Katie's old house. The haunt is on. As this list wears on so does my patience. *Sigh. It's an old tale and it's been recycled about 50 times before. The best version of this storyline was by Anne Rice with 'Tale of the Body Thief.' The ole' switcharoo storyline is so stale. Self/less received 21% on Rotten Tomatoes. Plot: An old billionaire gets a second chance at life by switching bodies with a young guy in the form of Ryan Reynolds. I can't believe how terrible the acting is in this film. It's a terrible teen horror flick and the exact opposite of 'It Follows,' which was brilliant. The timeline is also a little cray. The main protagonist is the son of a high schooler from the 90s. I was a high schooler in the 90s. I was in the 'Buffy the Vampire' generation. So according to this film I should have an 18 year old kid. Well...I have a 2 year old. I guess it's technically possible for me to have an 18 year old. I don't know, but any film that makes me think I could have an 18 year kid is automatically on my worst list. It also got a 15% on Rotten Tomatoes. I guess it doesn't matter because these stupid found footage films keep making money. Plot: A high schooler from the mid-90s dies during a school play and returns 20 years later to kill other high schoolers the same way. The days of releasing crappy movies with named stars are over. Rottentomatoes and social media have almost eliminated the fat that Hollywood used to live off of. The new Frankenstein flick received a 26% on Rotten Tomatoes. Plot: It's a remake of the Frankenstein tale, which receives a mandatory reboot every five years. Wow a reboot within 8 years. I think that may be a record, but then again look how fast they keep rebooting the 'Spider-Man' films. It has an 8% on Rotten Tomatoes. Just don't see it. It's awful. Plot: A genetically-enhanced super soldier teams up with a woman to help her find her father. 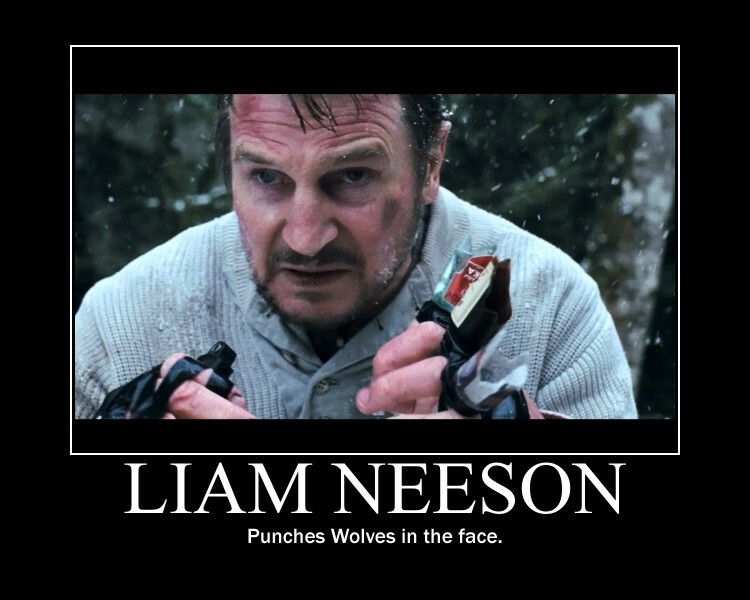 Liam Neeson punches people. That's my main requirement for seeing a film. 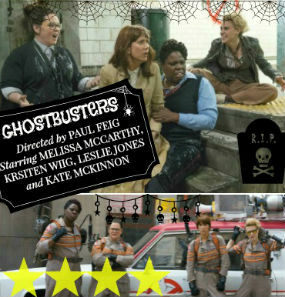 Unfortunately this film was really bad. It doesn't have any of the panache of the first film. The best scene of the film is when Liam Neeson wishes Forest Whitaker "Good luck" at finding him. Now that I think about it, that scene was better in the trailer. Rotten Tomatoes rating is 10%. Plot: International government man of mystery, Bryan Mills, is falsely accused of killing his wife. He must run and fight to clear his name. The 'Seventh Son' is so bad it felt like a Uwe Boll movie. I can't believe two A-listers appear in this film. Surely Julianne Moore and Jeff Bridges have enough money that they can pass on films like this. Rotten Tomatoes rating is 13%. I have said before and I'll say it again. How does Adam Sandler keep finding financing for mainstream movies? He's been listed in Forbes as one of the most overpaid actors two years in a row--meaning he movies keep losing money. So if Hollywood is all about money then how in the world is Adam Sandler still allowed to make movies? I won't even bore you with a full critique of this film. I will simply say it was sophomoric and boring...as all Adam Sandler films are. The key difference is that 'Pixels' destroys our favorite childhood video games in the process. Rotten Tomatoes has rated this monstrosity at 17%. I'm amazed it even got that. The only thing I can figure is that someone in Hollywood thought it would pass muster since it was based on a Dutch film. I'm not sure if the original Dutch film was any good, but it doesn't translate well into American cinema. The January release (in the U.S.) was the first clue. January is the garbage can for movies. Hollywood frequently feeds us trash in January. I watched the first half of 'The Loft' on Netflix and then I just had to turn it off. What were Karl Urban and Wentworth Miller thinking? Plot: Five married men share an upscale loft (apartment) where they bring their secret girlfriends and mistresses. The jig is up when they find out that someone has killed a woman and left her in the loft. Ryan Landels wrote the movie. I don't know if he was a fan of the cartoon beforehand or if meddling producers interfered and destroyed the film (this happens occasionally) or if he's just a terrible writer. Whatever the cause, I don't think Landels will be writing a mainstream feature anytime soon. Director John M. Chu should not get off scott free either. He doesn't exactly have a sterling record with 'GI Joe Retaliation,' 'Step Up 3D,' or 'Justin Bieber: Never Say Never.' Perhaps the main problem is that none of the people who created the original cartoon were consulted, even though one of them had created their own script. Also, their infamous rival band, the Misfits, only appears in the end credits. Huge mistake. The film has a 18% on Rotten Tomatoes. Plot: Singer and songwriter Jerrica Benton (Aubrey Peebles) and her 'fantabulous' sister and foster sisters form an incredible band, Jem and the Holograms. Based on the beloved 80's cartoon, the film tries to update itself by using youtube, blogging, and FaceTime, but it misses the mark. If the January release wasn't the first clue then the 13% on Rotten Tomatoes is. It's one of those films that makes me wonder if Johnny Depp needs to retire? I heard he did a good job in 'Black Mass,' so I know he can still act. Why does he do these stupid films? He doesn't need the paycheck? Is he so obsessed with being quirky that he will accept any script without reading it? Plot: Depp plays an aristocratic art dealer who tries to recover a painting which can lead them to lost Nazi gold. Because blood money is how he rolls. Proud to say I only saw one of those! I thought Seventh Son was all right. I'm a sucker for any sword and sorcery film. Unless it IS Uwe Boll of course. It's rare I see a bad film in the theater (think the last one was Prometheus) but I do catch them on NetFlix. At least then, I'm only wasting my time not my money as well. In Trank's case, it makes sense that he would get Fantastic Four after Chronicle which is also a superhero, or supervillain, origin story. In his defense, it's been said the studio had their hands all over that one and butchered it. Trank and most of the cast have distanced themselves from it. I'm guessing he turned down Star Wars because he didn't want to go through that again. I might be the only person who doesn't actually hate Pixels. Guess my nostalgia got the best of me. I'm sure there was some serious meddling by producers, but I've also heard some troubling things about Trank. I still don't know how he got to direct a major film like FF before going through the trenches. Chronicle was a modest hit. I can't even imagine how he got offered a Star Wars film. Ha yeah Pixels had a high nostalgia factor. I'm sure my son will bring a few home, but that just means it time to write! Ha, avoid these like the plague Yolanda! I think I will definitely do away with it this year! I just refuse to see anymore terrible movies! Oh the quality has totally gone down hill. THe last film was the absolute worst. The other ones were getting bad, but this one was just terrible. I wish this franchise would go away. LOL these gifs. I actually missed all of these, thankfully. Jem and the Holograms is a fascinating flop to me because they managed to lose both of their target audiences (OG Jem fans, and tweens) by their ridiculous marketing strategy. I can't believe what happened to Jem. The marketing, the film, the writing, it was like the perfect storm of awfulness. I really don't understand how the people who made this film were given the opportunity in the first place? Yet another Worst Of list that I've seen...NONE!!! Yay, I guess I win! You totally win! My goal this year is not have a worst list. Hopefully I will only see good movies! So much crap here. I knew Pixels was one to avoid ten seconds into the trailer. It's one of those movies I am proud to have never seen, like most of these on your list. Another great post. Hi Cal! Thank you. Yes, my goal next year is not have a worst list at all! No more Pixels for me. Thanks for the awesome train wreck movie list, msmariah. I reckon lots of retro flopbusters fail because unlike their predecessors, wheres the fun when you can't see or experience the terror whizzing before your eyes? Speed of light gimmickry works in superhero movies and science fiction but hey if you're watching your favorite actor/actress at least its not a complete waste of time. Oh these films are total train wrecks. I think that's the best description so far. You make a good point about the retro flopbusters, but I also think there's a quality issue. THe original Poltergeist was just sooo freaking good. We actually really liked Pixels. Other than that, I think I only saw one other film on the list. Guess we did pretty good in avoiding the doozies, eh? Hi Crystal, thanks for your comment. Ha, I've had several people tell me they liked 'Pixels.' I guess for the nostalgia aspect! It had a few fun moments. Yes, you did good to avoid these films! There were terrible. I will do my best to avoid bad movies this year! Right? It's so hard to weed them out though. It's funny how subjective the whole media world is. What one person hates, another will adore. It's so true! Nostalgia goes a long way. It's the whole reason I love the 'X-Files' even though this season hasn't been very good. Hi Mark-- thanks for your comment. I wouldn't recommend any of these! I have one baby, but if I had more I'm sure I wouldn't be able to watch as many movies. I usually have a free Saturday afternoon to myself. I need to watch better movies! These were stinkers. 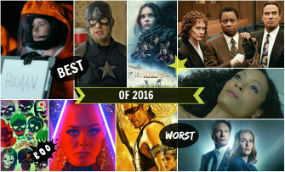 2015 was a good year for bad movies. I haven't seen all of these, but here's my take on some. THE LAST WITCH HUNTER - I hoped it would do well, since Vin Diesel is a good guy, but didn't have high hopes. FANTASTIC FOUR - Saw it and with I could unsee since it's a waste of great characters. VICTOR FRANKENSTEIN - LOL Didn't even bother and the fact that it was written by Max Landis (who trashed the writing in Star Wars 7) just makes it's failure ironic. TAKEN 3 - Taken 2 was a stretch and Taken 3 is a waste like you said. PIXELS - Never saw it but "Adam Sandler" told me of the film quality. JEM AND THE HOLOGRAMS - I was never a fan of the show (song rocked though). Could have been good, but if they didn't even bother to talk to creators it shows they're love of the source material. Ha, i love your run down!! I'm glad you avoided most of these movies! They were so terrible. Oh FF was such a waste. 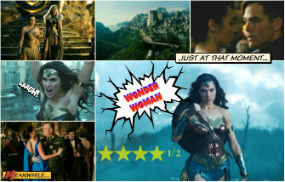 I think that this the film I am so sad about this year. I really hoped that film would be good. I'm glad I skipped most of these. SELF/LESS is terrible because they gave the lead role to Reynolds who can't act in anything w/ a dramatic arc. Heh why the heck would they relegate hunky AND talented Matthew Goode to small supporting roles when he's so much nicer to look at. 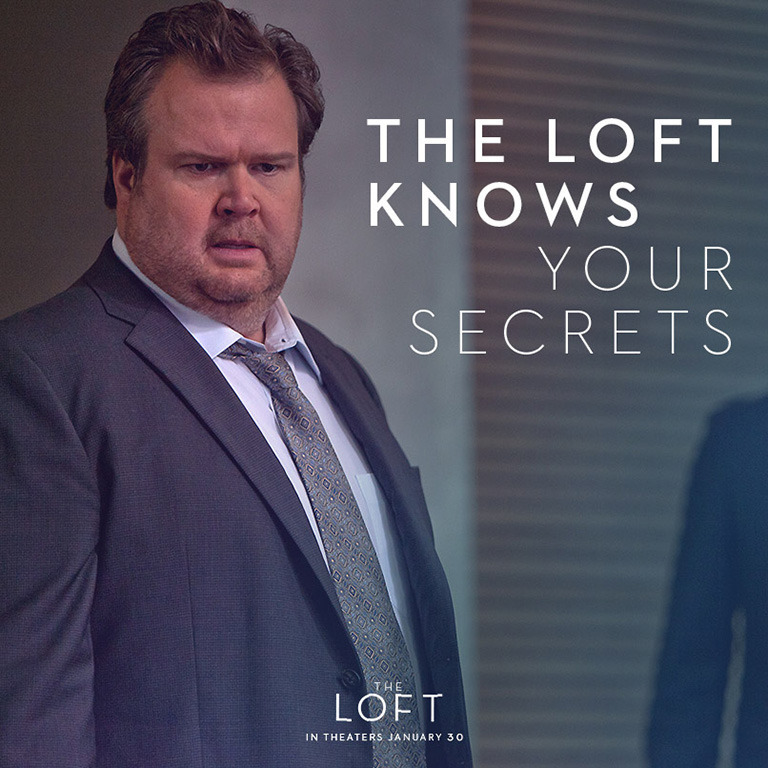 I was slightly intrigued by The Loft because of Urban and Marsden but the trailer does look bad. Oh the loft was really bad. I couldn't finish it. I had to stop watching for the sake of my own dignity. Ryan Reynolds is not my favorite. I am still trying to build myself up to see 'Deadpool.' I wish there was someone else cast. I've only seen one, and it was a stinker just as you said. Thanks for warning on all of them. Yes, I believe Johnny Depp is so obsessed with being quirky that he will accept any script without reading it. I thought he did his worst work ever in The Lone Ranger. Hi Pat! Yes, lucky you. I wish I could say the same. These movies are terrible. Oh that one was really bad wasn't it? I've only seen a couple of those, and only hoped that 1 would be good. Most of those we knew were stinkers before they even came out. Yes, my dad wants to go these movies...I end up going with him. It's one of those things unfortunately.